Interiors by Parts and Labor Design. 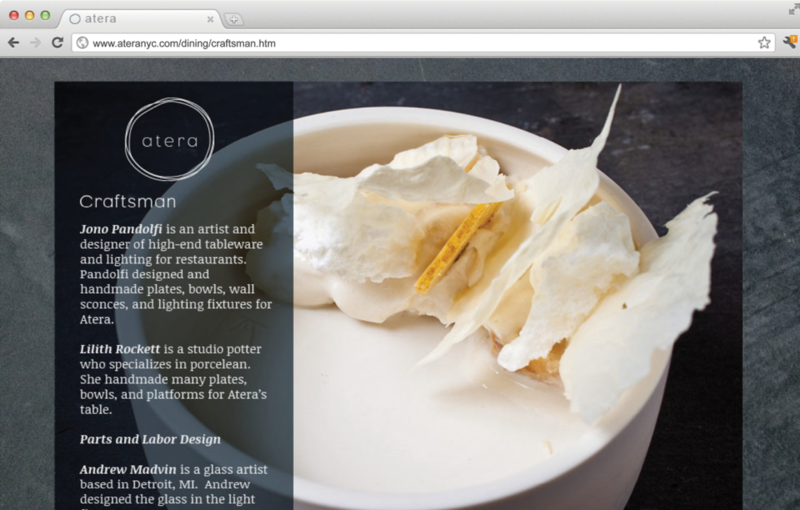 Atera is a Michelin starred restaurant located in Manhattan's TriBeCa neighborhood. The menu focuses on foraged, seasonal, and unconventional natural ingredients with a focus on local producers. 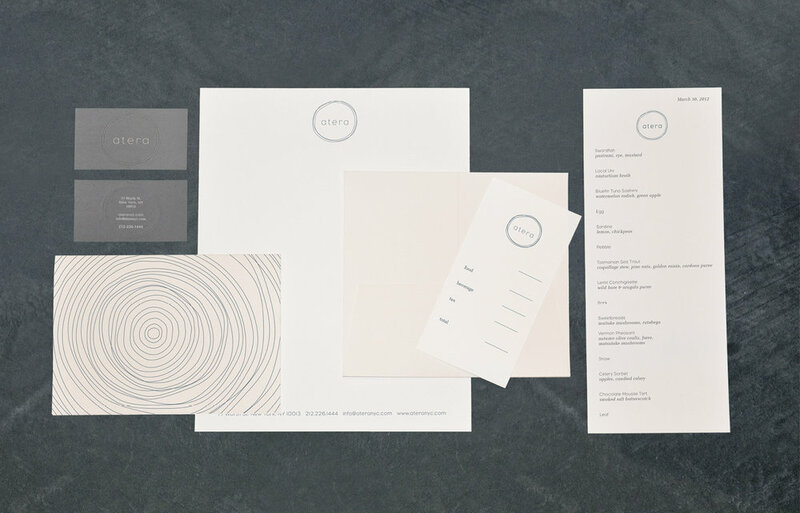 We created a clean, organic identity to convey that ethos while maintaining an elegant, polished aesthetic. We sourced natural materials like a raw cedar slab and seeded papers to connect to the plant-centric menu and interior.